Are gearing up to spend your summer in the water? If so, you can’t do it without a kayak. 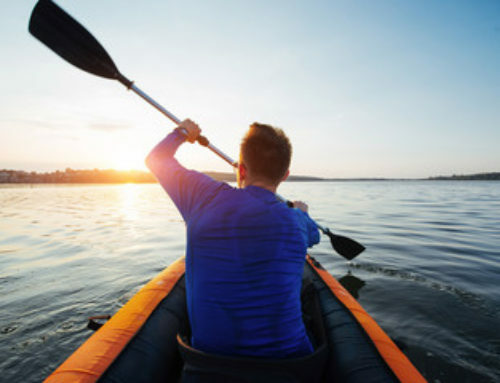 If you’re new to kayaking and are looking to get your first kayak, then we want to help — outdoor activities are our specialty. 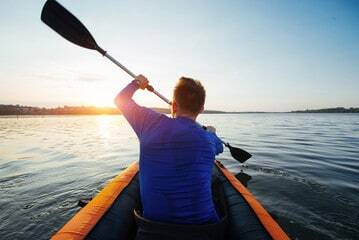 Read on to learn how to buy a kayak and what to look for. When deciding to buy a kayak, you have to keep in mind the water type where you want to use your kayak in action. The water type will affect your decision making. 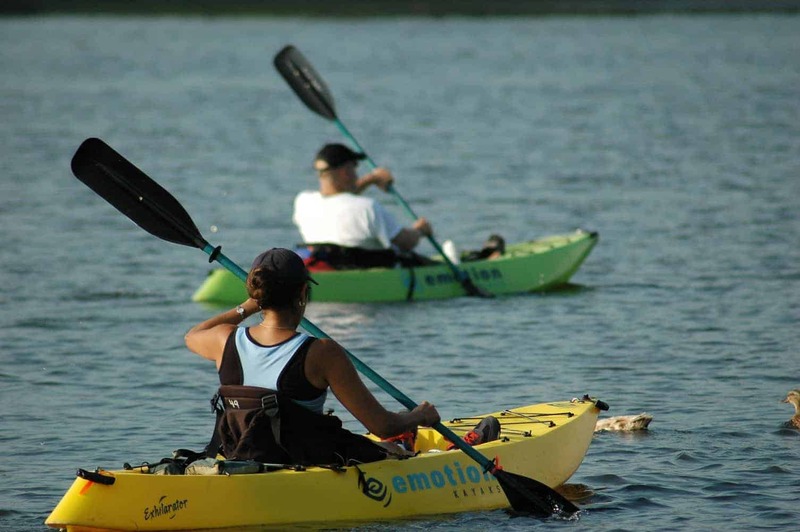 In the case of your local lake or river, you can choose either a sit-in or sit-on-top kayak. If you plan on using your kayak on the coast, you might want to pick a sit-in type. After you decide on which body of water you want to use your kayak, you should begin to look at types of hulls. This type of hull is easy to maneuver and is ideal for still and calm water conditions. Since this hull is meant to cut through the water, it’s better suited for tours or long distance kayaking. The round edges help the kayak travel through waters at a higher speed than a flat hull. This hull combines the stability of a flat hull and the features of a rounded hull. A chined hull has a bottom that meets the side of a kayak in either a rounded or angular chine. You will need to make a decision between sit-on-top or sit-in kayaks. If you want to do long touring, you might want to pick a sit-in kayak. Sit-in kayaks are also a better choice when you face cooler waters. Another advantage of sit-in kayaks is you can add a spray skirt. Since you’re fully in the kayak, you will also have more control over it. Sit-on-top Kayaks are convenient to get on and off. You can even use them in deep water if you don’t mind getting a little wet. These are better suited for warmer climates since they don’t provide extra protection against the elements. These kayaks also tend to be a bit heavier. When picking out the right kayak, keep in mind the material could make the kayak light or heavy. Polyethylene plastic is inexpensive but is one of the heavier materials, not to mention it weathers with the sun. ABS plastic is slightly more expensive and it lasts longer against UV rays. Plus it’s also lighter than polyethylene. A kayak made of composites is the most expensive option, but these are light-weight options. If you want to figure out how to buy a kayak, all you have to do is decide what the main body of water is going to be. From there you can take into consideration the materials and functions. We have more tips where these came from. If you’re the outdoor type and would like to improve your game, check out our blog for more tips.